This year I grew cucumbers in my backyard garden. I put in three slicing cucumber plants and three pickling cucumbers. I found that it can be easy to miss seeing the lighter-colored pickling cukes sometimes so a few of them got quite fat! Picking was my solution for the abundant crop (including the fat ones). 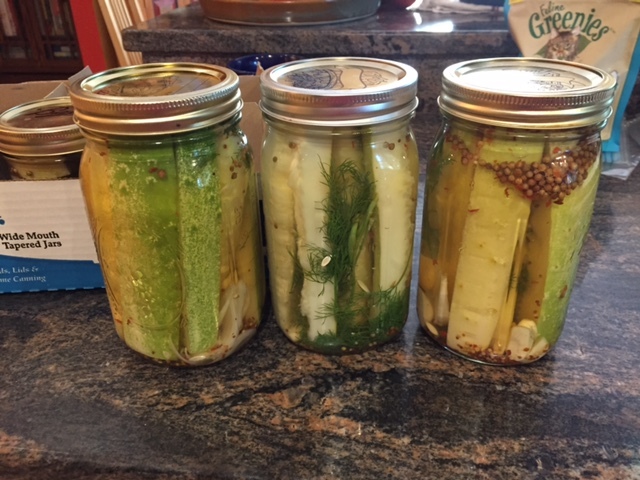 I found a great recipe for refrigerator pickles that I used last year too. Heat vinegar with salt and sugar, and pour over cuke spears and spices, garlic, and fresh dill. 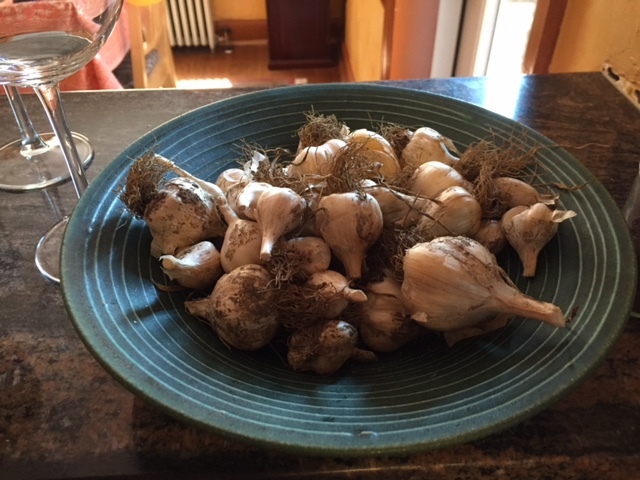 I have also dried this year's garlic and oregano harvest. The tomatoes are starting to come in now and I have made cooked tomato sauce and even a raw tomato "sauce" that you serve the same day with hot pasta. Eggplant is also coming in soon. I really like being able to pick, cook, and eat my own vegetables. I know they are fresh and that they have no pesticides. 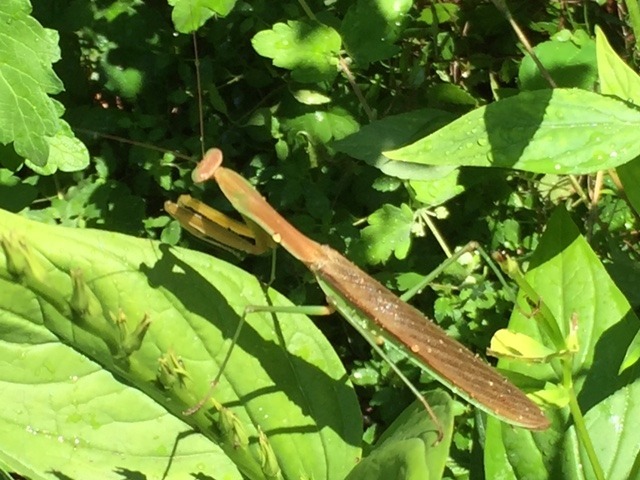 We have lots of praying mantises in the yard this year to take care of any pests.